Burma, also known as Myanmar, is the largest state in mainland South-East Asia. The population of Burma is about 55 million and consists of many ethnic groups, of which the Burmese make up about two-thirds of the total population. The population is predominantly Buddhist and speaks several minority languages, including Shan, Karen and Mon. 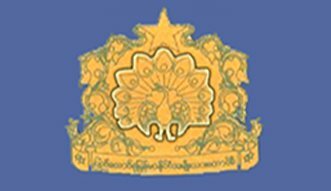 At UNPO, the pro-democracy movement was represented by the National Council of the Union of Burma (NCUB). It had been formed in August 1992 and was composed of four main opposition groups: the National Democratic Front (NDF), the Democratic Alliance of Burma (DAB), the National League for Democracy - Liberated Area (NLD - LA) and the Members of Parliament Union (MPU). NCUB had been formed out of the need for a comprehensive political alliance among these opposition groups, to seek ways for compromises over political differences, draw up strategies to overcome the military dictatorship and formulate policies for the movement and the future of Burma. In 2011, the military junta was officially dissolved following a 2010 general election, and a nominally civilian government was installed.